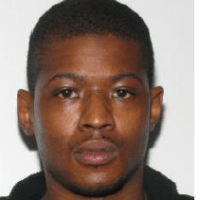 The Stafford County Sheriff’s Office is searching for the suspect behind a pursuit that occurred over the weekend following a traffic stop. On Sunday, February 3, 2019, at approximately 11:04 a.m., Deputy Layug observed a red two-door vehicle traveling westbound on Kings Highway at a high rate of speed. The deputy activated his emergency equipment and initiated a traffic stop in the area of Kings Highway and Little Street. The deputy then made contact with the driver and asked for his driver’s license and registration. The driver advised he did not have a driver’s license, and reluctantly turned over his registration after the deputy repeatedly requested it. Deputy Layug returned to his cruiser to run the tags and they returned to a different vehicle. The suspect vehicle then began to drive away at a high rate of speed. A pursuit ensued on Kings Highway, prompting the deputy to call for additional units. The suspect vehicle abruptly changed lanes on several occasions and struck an orange barrel in a work zone. At the intersection of Blue and Gray Parkway, the vehicle went through a red light without stopping. The vehicle went through another red light at the intersection of Butler Road and Chatham Heights Road, and then traveled over the double yellow lines to pass a vehicle. The suspect vehicle turned onto Colonial Avenue and then Forbes Street. When attempting to turn onto Route 1, the suspect vehicle went through a stop sign without stopping and hit the rear end of a vehicle traveling on Route 1. The suspect vehicle got stuck in the median on Route 1. Deputy Layug exited his vehicle and commanded the driver to exit the vehicle. However, the suspect vehicle was able to get out of the median and began traveling southbound on Route 1. The deputy followed the suspect vehicle onto Route 17 and then onto Interstate 95 northbound. The suspect vehicle passed several vehicles by traveling on the right and left shoulders of the roadway. The deputy then observed the suspect vehicle exit the interstate at the 143B off ramp onto Garrisonville Road westbound and then spin around so that it was facing the deputy’s vehicle. The suspect vehicle then careened into the front of the deputy’s vehicle before proceeding to turn left onto Route 1 northbound and then left onto I-95 northbound. Additional units continued the pursuit on the interstate. Once at the Prince William County line, Virginia State Police units took over as primary in the pursuit. The pursuit was ultimately terminated after units lost sight of the suspect vehicle. Deputy Layug confirmed that the identity of the driver matched the DMV photo of the registered owner of the vehicle. The suspect has been identified as Britney Bates, 34, of King George. Warrants have been obtained for felony eluding, felony hit and run, felony destruction of property, reckless driving, driving revoked, identity theft, providing false identity to law enforcement, and several traffic violations. The suspect remains at large. Anyone with information on his whereabouts is asked to contact the Sheriff’s Office at (540) 658-4400.